Weston said, "ViviSat has the space dream team - a deeply experienced and accomplished management backed by creative and customer-oriented investors. We look forward to growing this new mission area for the benefit of commercial and government operators." Further information about ViviSat can be found at the company's website, http://www.vivisat.com Certain information discussed in this press release constitutes forward-looking statements as defined in the Private Securities Litigation Reform Act of 1995. Although ATK and U.S. Space believe that the expectations reflected in such forward-looking statements are based on reasonable assumptions, they can give no assurance that their expectations will be achieved. Forward-looking information is subject to certain risks, trends, and uncertainties that could cause actual results to differ materially from those projected. Among these factors are: technical challenges associated with the development and performance of advanced space technologies and services, and assumptions regarding the development of commercial and governmental markets for in-orbit mission extension and operations protection. Neither ATK nor U.S. Space undertakes obligation to update any forward-looking statements. For further information on factors that could impact ATK, and statements contained herein, please refer to ATK's most recent Annual Report on Form 10-K and any subsequent quarterly reports on Form 10-Q and current reports on Form 8-K filed with the U.S. Securities and Exchange Commission. U.S. Space LLC is a U.S.-owned provider of dedicated, commercial space solutions. 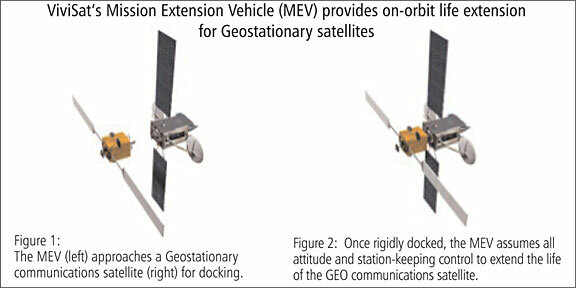 The company was established in January 2009 as a U.S.-owned provider of satellite solutions with a unique model combining the best commercial and government practices. The company, which is run by a small group of highly respected former military and corporate leaders, now offers a variety of dedicated space solutions to serve the nation's interests. More information on the company is available at www.usspacellc.com.